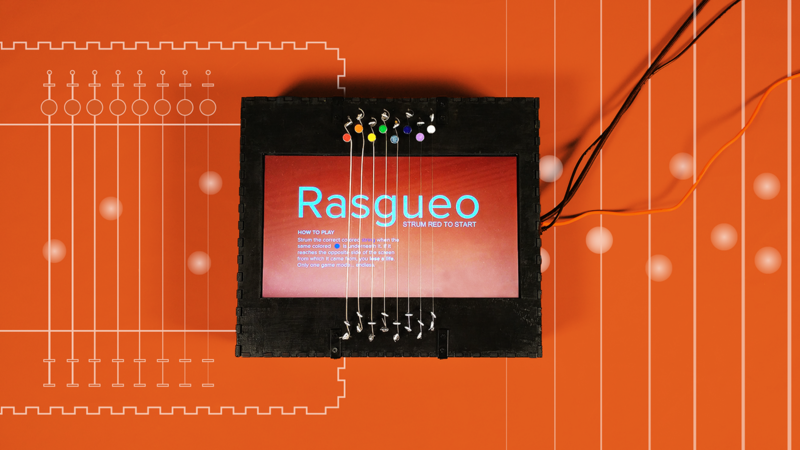 Rasgueo is a table-top game where the player can only use eight guitar strings to navigate and play the game. The player must hit the same colored strings as the orbs that are moving horizontally across the string to prevent them from going into the deadzone. The player only has three lives as they survive endless waves of orbs. The spawn direction and amount of orbs changes to create ambidextrous use and quick thinking to increase hand eye coordination. 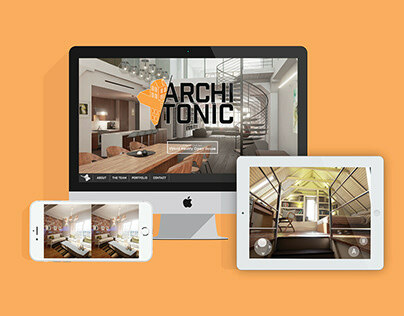 This project was created within a two and a half week deadline with concept, design, construction, programming, and user-testing finished. The concept was decided on using unorthodox computer controls, like guitar strings, to navigate with on screen enemies and UI. This is not similar to already existing games that use synchronized sound to spawn enemies. All enemy spawns are randomized to a strength of endurance with increasing difficulty. The purpose of this is to increase self-awareness and ambidexterity through interactive training. Overall this project was fun, but really difficult. This was my second project working with Arduino and something that I was continuing to learn. However, I did know Processing prior to this project. Working on Rasgueo helped me improve my skills and my ability to make quick decisions. This project was accepted at the Entelechy 2018 technology showcase under the Creative Technologies category which it won First Place in. After selection, it was exhibited in their showcase in Savannah from 5/28/18-7/20/18. Please contact me for more process and how it was programmed. Illustrates basic functions and beta gameplay.